Matthew Bates (Ph.D., University of Notre Dame), currently Assistant Professor of Theology at Quincy University, has provided us with a fine discussion of Pauline use of the OT in his The Hermeneutics of the Apostolic Proclamation: The Center of Paul’s Method of Scriptural Interpretation. I received a review copy from Baylor press a few months back, and I’m finally getting around to posting my thoughts. Over the last few decades the NT use and interpretation has garnered a growing level of interest, and Bates wades into a discussion dominated by some of the biggest names in Pauline scholarship–Richard Hays, Francis Watson, Christopher Stanley, Steve Moyise and Ross Wagner. While not changing the whole tenor of the conversation, Bates contribution effectively widens the scope of evidence and provides a new lens on some of Paul’s uses of scripture. Chapter 1. Bates thoroughly lays out the history of research into Paul’s use of the OT. In fact this is one of the most comprehensive reviews I’ve read in any dissertation/monograph. Though informed about the issues, I wasn’t previously aware of some of the nuances of various approaches, so this was quite helpful. He ultimately works towards two deficiencies in the field. The first, modeled by Watson, is focusing solely on Jewish comparators. The second relates to Hays’ limited employment of Bahktin, whose work calls for a consideration of the polysemous nature of texts in their original context and later contexts. Hays, he says, focuses on the polysemous nature of texts, but he doesn’t take into account later contexts. Accordingly, he calls for a “diachronic intertextuality” in which the interpretive methods of later post-Pauline interpreters are brought into the frame of comparison, rather than merely Paul and his contemporaries. Chapter 2. Here the importance of scripture for Paul in forming his basic gospel narrative is the focus. Rather than picking Pauline passages that directly quote scripture, Bates chooses two passages where Paul summarizes his key message (in “protocreeds”): 1 Cor 15.3-11 and Rom 1.1-6. In both these passages, which receive detailed exegesis, Bates shows that the narrative of the Messiah is one that Paul sees as developing from his interpretation of scripture. He summarizes the details of his exegesis by developing a 12-stage narrative in two sections: stages 1-8 relate to the story of Christ and 9-12 relate to apostolic mission arising out of the Christ event. Though Bates doesn’t use these terms, it seems that he is detailing what Hays in his later revision of his work on intertexuality (see Conversion) would describe as a christocentric and ecclesiotelic model of interpretation. Bates uses the terms kerygma and apostolic to capture this. Chapter 3. Bates next brings in the results from study of rhetorical handbooks to explain how scriptures would be employed to support Paul’s apostolic kerygma. 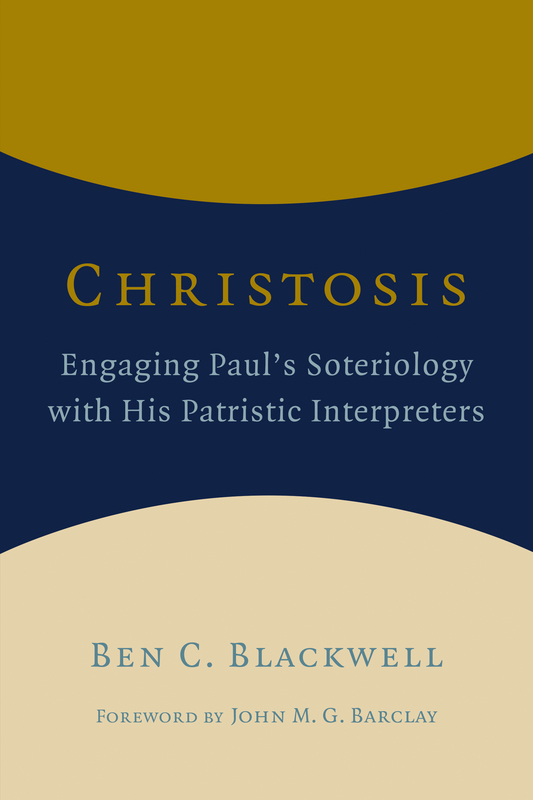 Bates’ intention is to dismantle the emphasis upon typology as a means to describe Paul’s interpretation. The key to this argument is considering the stage in which scripture would be employed in writing (based on the rhetorical handbooks). Though he concedes these steps don’t happen rigidly, the order is important: 1) invention, 2) arrangement, 3) expression, 4) memory, and 5) delivery. The collection of material to use in an argument (for Paul, scriptural texts) happens with the invention stage (1), whereas the employment of that material to the audience through tropes (metalepsis, metaphor, allegory, etc.) would occur in the expression stage (3). That is, typology (a trope) would be just verbal dressing meant to convince, but this would not be the heart of his argument. Since Paul has a unified view of the divine economy he can use older texts to speak about current events, which can only be viewed in light of Christ and the apostolic kerygma. They don’t have to speak about the old event and then make a correspondence to the contemporary event (as in typology). They just speak directly to the contemporary event/issue. Bates goes through a number of Pauline passages to demonstrate this: Rom 5.14; 1 Cor 10.1-11; Gal 4.21-31; and 2 Cor 3.1-4.6. Chapter 4. One central example of reading the Old Testament as speaking directly to or within the contemporary frame is through prosopological exegesis. That is, an interpreter encounters an inspired writing which has an ambiguous voice/saying, and the interpreter “resolves the perceived uncertainty by assigning a suitable prosopon to the speaker or the addressee (or both) to explain the text” (217). In this chapter, Bates does not focus on Paul but rather Greek, Jewish, and later Christian writers to show how this method of interpretation was employed. This is particularly where his “diachronic intertextuality” model comes into play. After establishing the existence and execution of the practice, he turns in the next chapter to explore how Paul employs this. Chapter 5. 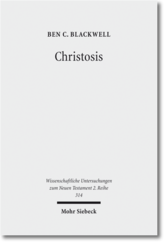 Bates walks through several Pauline passages that meet his criteria for the possibility of prosopological exegesis: Rom 10.6-8; 15.3; 10.16; 10.19-21; 11.9-10; 14.11; 15.9; and 2 Cor 4.13. 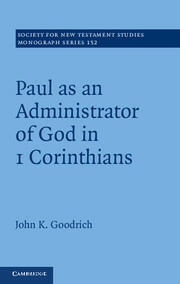 Of these passages, he cogently explains how Paul inserts/hears Christ (or others) as the ambiguous speaker in OT texts. Paul only explicitly introduces prosopological exegesis in Rom 10.6-8, but the other texts explored (besides 10.19-21) clearly show prosopological exegesis. While 10.19-21 may appear to be prosopological, Bates argues against seeing this employed in that passage. Importantly, Bates doesn’t conclude that this method of exegesis is the key to unlock every use of the OT (cf pg 326), but it does give insight into Paul’s perspective on the unified divine economy. Chapter 6. In his final chapter Bates gives a gift to his readers. He revisits all of the major conversation partners in modern scholarship and explains how his research affirms, critiques, or refutes their work. He prefigures this in chapter 1, but having a clear discussion about each scholar’s work in light of his research is again very helpful for framing its significance in larger debates. I’ll note two here. 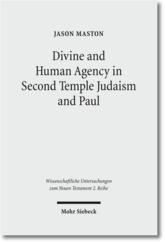 In distinction to Watson’s decision to explore Paul in light of fellow Jewish interpreters, Bates finds Paul’s fellow Christians, especially those a century or so later, to be better models of helping us understand Paul’s methods. 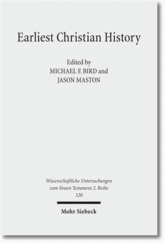 In contrast to Hays who finds a form of typology important for Paul’s exegesis, Bates argues that the method of selecting and employing texts doesn’t support that view and more importantly the contemporary Christ-informed setting consumes Paul’s vision such that a correspondence between past and present is not the focus, only the present is. Hopefully, that is an adequate summary of the argument. It only scratches the surface of the exegesis and work put into the monograph. I will return in my next post to give my evaluation of the work. Professor Loren Stuckenbruck gave an interesting paper this week on the area of the apocrypha and its interaction with Jewish and Christian canons. He didn’t mention the council at Jamnia so I asked about its role in the debate. I got an odd look from him, and he responded in a gracious manner saying that it is highly debatable that that ever happened. Doh! So I asked him to clarify. He didn’t go into detail but said a process of standardization occured but mostly in the 2nd century and that the process was retrojected back into the first century. So, for those of you like me that were fed the Jamnia story, learn your lesson from my experience and hold your tongue in public discussions. I think this issue of canon is quite interesting since a significant chunk of the ‘Bible’ was removed with the reformation. Not that there weren’t some good reasons, but protestants have shunned them to the extent that when I was in high school I almost got the feeling that the catholics made up these books. And why would they choose names like Bel and the Dragon? Students need more interaction with these sources to open their eyes to NT backgrounds.